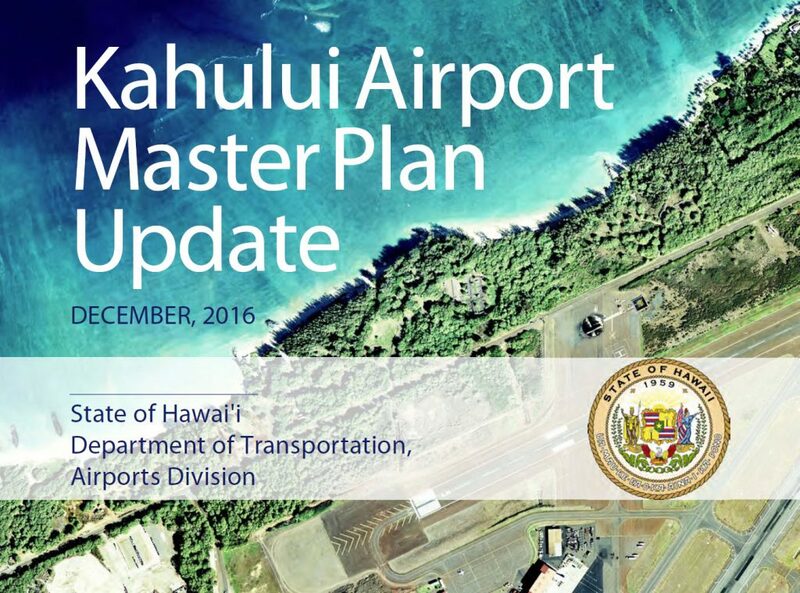 The Kahului Airport Master Plan was updated in 2016 by a project team headed by R.M. Towill Corporation. The master plan update considered alternative development scenarios up to 2035 for upgrading and improving the airfield and terminal facilities and services for airport customers. The preferred runway alternative will reconstruct and extend Runway 2-20 from 7,000 ft. to 8,530 ft. A temporary runway parallel to Runway 2-20 will be constructed to allow continued airport service while Runway 2-20 is being reconstructed. There are no upgrades proposed for Runway 5-23. The terminal alternative will expand holdrooms to the south and increase capacity for users. A new Car Rental Facility is under construction and will help to consolidate rental car facilities closer to the terminal.